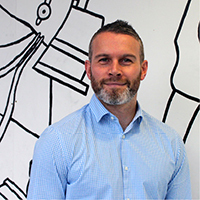 On completion of his Master’s Degree, Dan has over 10 years sales and account management experience working with companies across a number of sectors. He works closely with employers to understand their needs and how apprenticeships and training plans can support their business. Dan can discuss your requirements, help with recruitment and will provide on-going support and guidance throughout the programme.